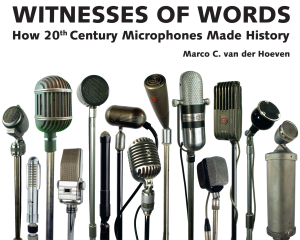 Publisher Red Tape Productions presents the first edition of a reference work about more than 400 vintage microphones. Many of them played an important role in the twentieth century. Not only the radio and television microphones, but also those designed for specific purposes; as for aerospace, for use in full, noisy stadiums or built into a watch for espionage. 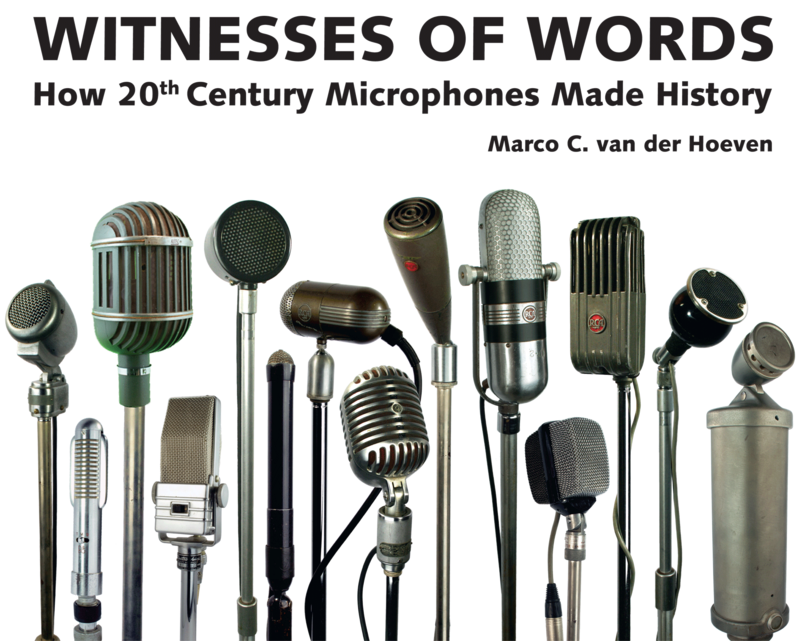 All microphones in the book are coming from the unique collection of the author, Marco C. van der Hoeven. Often they are still functioning and in great condition. The type that was used by Albert Einstein, the microphone Fidel Castro used for almost all his speeches, the custom made models for the East German leaders, down to the two microphones which were always used by Adolf Hitler – he wanted one next to his foot to add audible thumps to his words. The writing of the book took more than six years. In addition to detailed descriptions of the microphones themselves, the book contains beautiful press photographs, advertisements and posters, leaflets and many anecdotes, plus reference to the original sounds they captured. These sound bites will be available at the foreseen exhibition about the book and its collection. The book has 136 pages, size: 300 x 240 mm, weight: 1200 grams.